Vadcon also offers other DB25 products - DB25 Wall Plates, DB25 Face Plates, DB25 Floor Boxes and much more! Hole size used in these panels? Hole size is DB25 - Connectors could be removed and replaced with any connector that fits the DB25 hole. In Stock? Production Time? 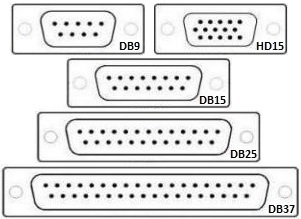 DB25 Patch Panels are generally in stock and ready to ship, but inventory does change daily. Feel free to contact us to confirm your immediate needs. © Copyright effective 1995 to current. VADCON Incorporated. All Rights Reserved.